The netbell-2 is housed in a din-rail mountable enclosure. With the 2 relays you can control 2 line voltage bell timer devices (110v, 10a). With the digital inputs you have the ability to wire an external switch for ringing bells manually, or turn on/off lights, machines, or security devices. With the easy-to-use bell schedule software, users can easily add event schedules with different ringing duration for different event or import/export their existing data using a simple text format. It's ready to go out of the box and you need only connect the unit to power 12vdc or POE and an existing network with the provided cable; it can be connected anywhere on the network and does not require a direct connection to a pc. Scheduling and setup is accessed through any standard web browser. For anyone who has separate areas or multiple buildings where running additional wiring is not an option, but the locations are connected by a network, then we have a solution using the remote feature built into our products. We call it “networked bell system”. With our netbell product and our koda web controller you can setup a system over a network to ring multiple bells or horns on multiple locations. Technical specifications: 10m/100m rj45 internet interface with connection and activity LEDs. 2 1-form-a relays 110/220 10a. 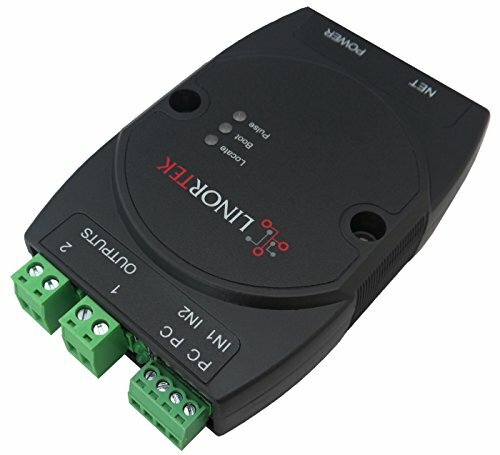 2 optically isolated digital inputs, 12v 1ma or pull down switch selectable. Status LEDs (pulse, boot loader and locate). Ethernet boot loader (for server hardware code upgrade). POE or 12vdc @500ma (nominal). AC converter supplied, 100-240vac50/60 Hz. 1 meter cat5 cable supplied. On board temperature sensor and input voltage sensor. Designed, developed and made in USA. Dimensions 70mm x 100mm x 25mm. Supported protocols: http/SMTP/SNTP. Compact and self-contained, supplied with the hardware and software you need to control your existing bell timer devices,use it out of its packaging, wire your bells with the controller, connect power and network with the provided cables, it's ready to go.